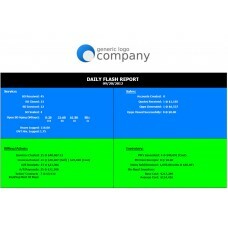 The flash report for Tigerpaw provides an easy-to-read, 1-page overview of activities which had occurred over a specified date range. 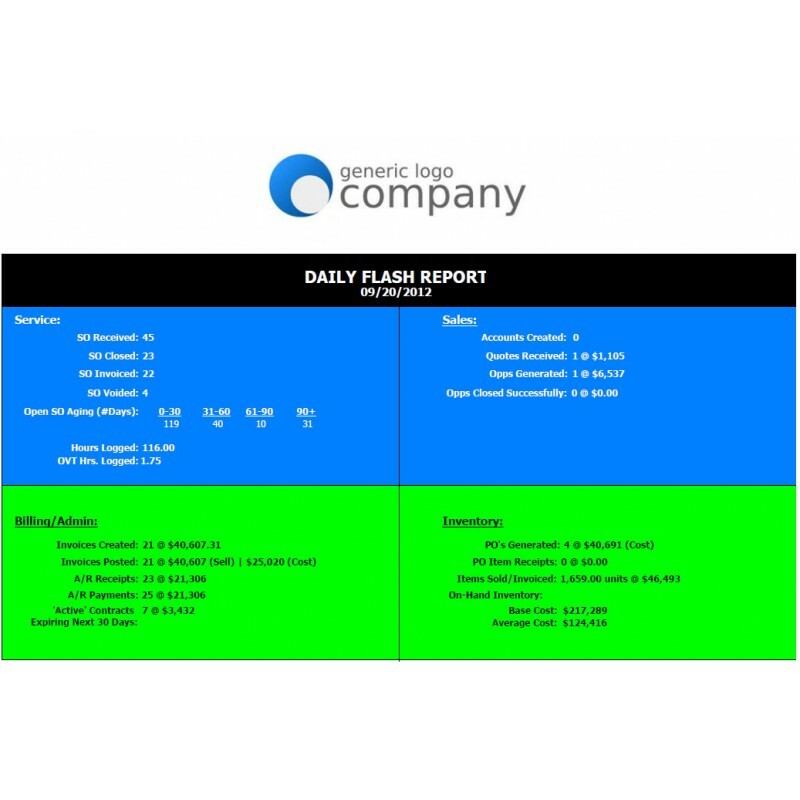 This flash reports shows 4 key areas: Service, Sales, Billing, and Inventory. Following the front page is a break-down of detail for each of the sections.